A random WordPress commenter read my review of some random impulse big beer that I bought: Hop Stoopid. 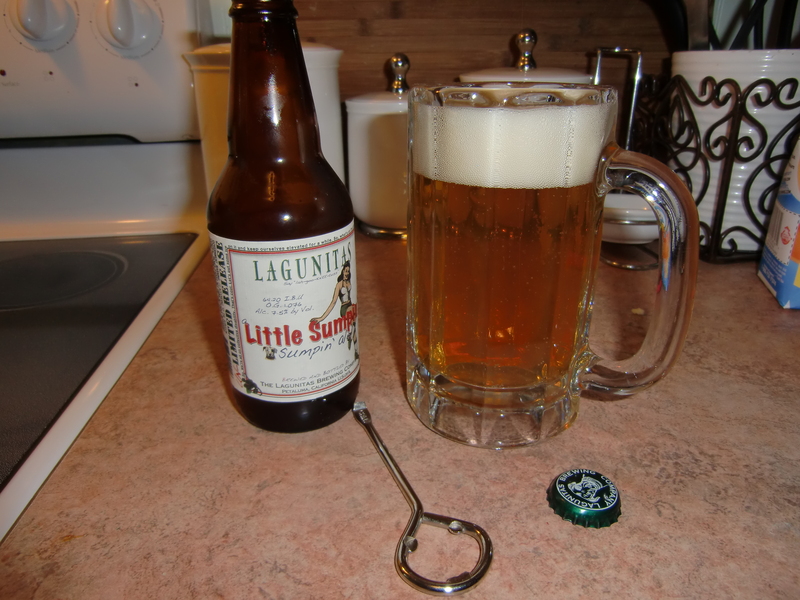 In the comments, he/she told me to get a hold of other Lagunitas Brewery beer: A Little Sumpin’ Sumpin’ Ale. Well, I went to Friar Tuck’s and picked some up. Good thing I did. 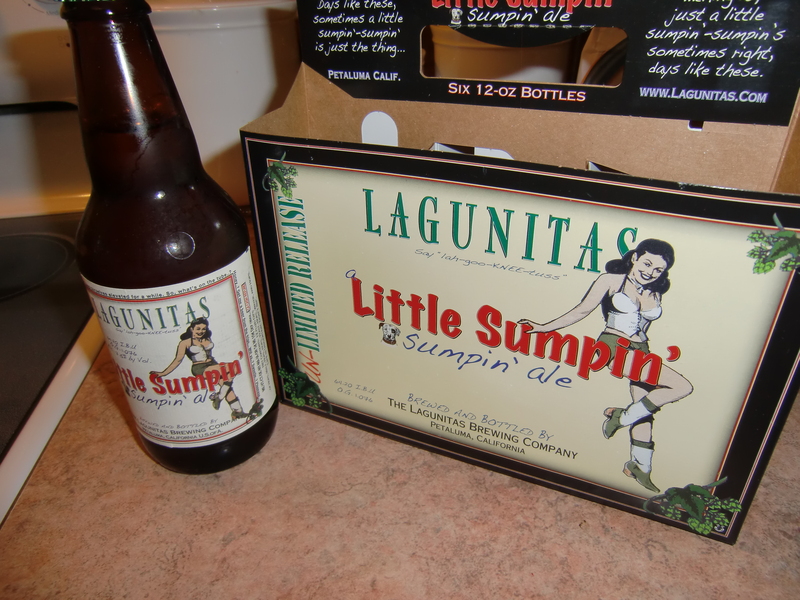 Who's up for a little sumpin' sumpin'? I’m an unabashed Ale fan. A Little Sumpin’ Sumpin’ Ale has an IBU of 64 (45 is hoppy) and an ABV of 7.5%. Bring it on! Who doesn't like the paint can beer opener? It has a fairly light color for an ale with this robust of an IBU. Still, it’s a very smooth beer with a nice hoppy, fruity finish. My wife is not a high hop fan, but she loved this stuff. I wasn’t getting much of a head on the beer with the glass tilted, so I got a little reckless in the pour, giving me a strong head. The aroma is great, but not remotely overpowering. It’s very easy to drink, so watch out with the 7.5% ABV. I paired the beer with a smoked pork shoulder sandwich and things could not have gone better. The crisp, hoppy, fruity flavor was an amazing compliment to the spicy, smoky pork. This is not an overpowering beer. It’s not the star at the meal, but it doesn’t fade into the background. Very drinkable. In the suburban St. Louis area, this stuff is $9.99 for a six pack, if you can even find it. Much love to Friar Tuck’s for having this in stock. Worth the price for sure. For the second time I am reviewing a Lagunitas Brewery creation, and for the second time my recommendation is: Drink This Beer. Best wheat beer in America? I say yes.